Taal Vista Hotel will always have a special place in my heart, because it was the very first place wherein I ever had a Staycation at as a blogger. After one stay there, I realized how much I wanted to delve into travel as well, which opened up a floodgate of invites for me as a blogger. Although my very first stay there was on my own dime, it was rather gracious of Taal's marketing team to invite me back a couple of weeks afterwards, simply because they felt they weren't able to "entertain" Rina and I because there was an on-going event during my stay. I pleaded with them that it was totally unnecessary, but they simply would not have it. That trip became very memorable for me because I got to meet some amazing people, namely Nikki Tiu of Ask Me Whats, Grace Go of A View From The Leftie, Jo Tan of JoTan23, and none other than Anton Diaz of Our Awesome Planet. I've been back numerous times since then, with each trip seemingly more fun than the next. 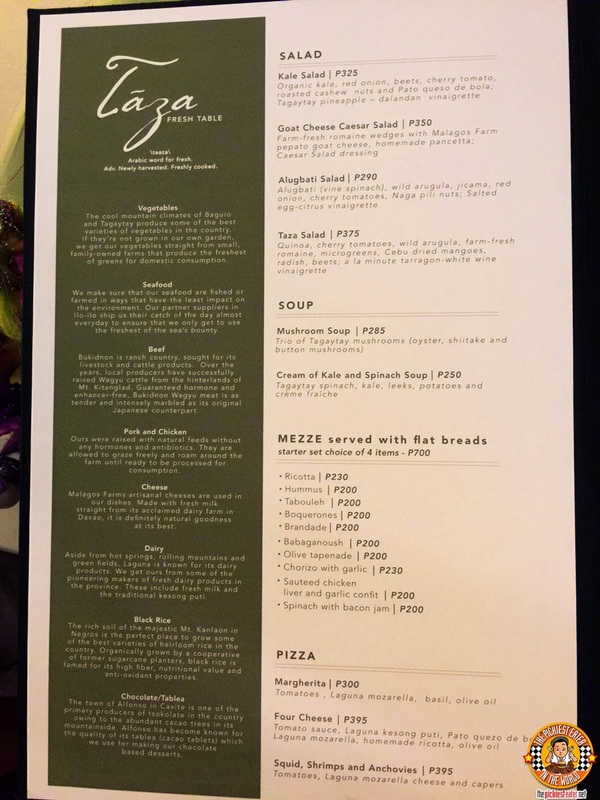 Earlier this year, Taal Vista Hotel added yet another reason to visit Tagaytay, when it opened it's new Farm to Table Concept restaurant, Taza: The Fresh Table. Taza's mantra is simple. "Source Local, and Cook Global". 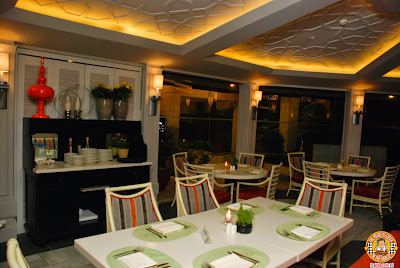 Vegetables and produce is sourced from local farmers from around the country, from as far Baguio, to nearby farms in Tagaytay. 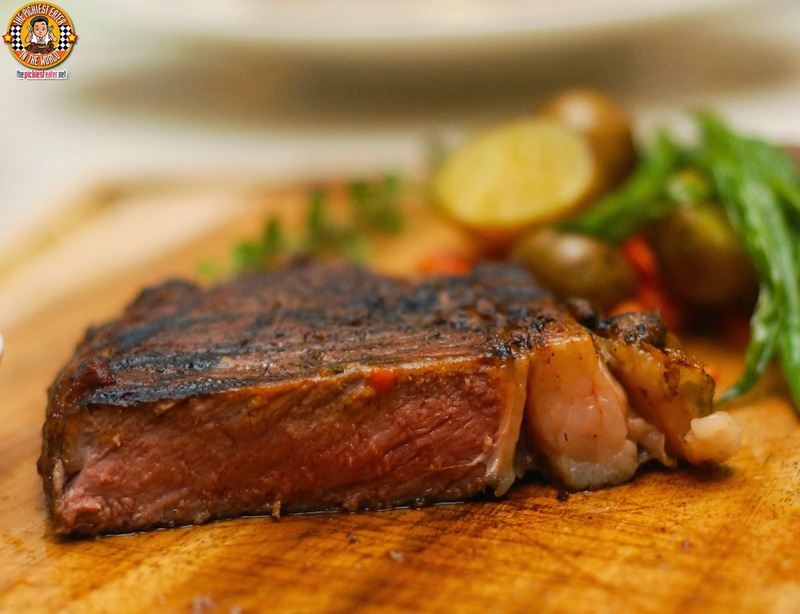 Fresh Seafood is brought in daily from partners in Ilo-ilo, Bukidnon Wagyu is utilized for their steaks, while Pork and Chicken are raised, sans antibiotics. Even Cheeses and Chocolates are from Filipino purveyors from around the country. 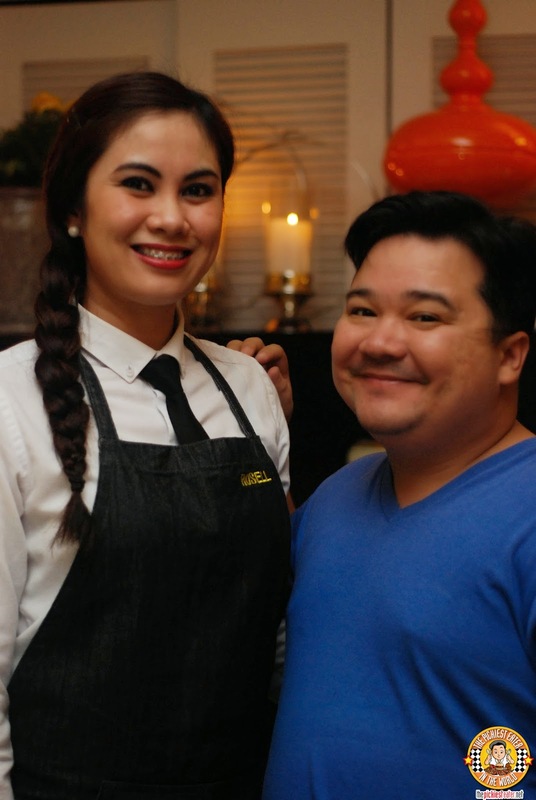 In a country that seems to go crazy over imported brand and ingredients (guilty), it's refreshing to find a restaurant that firmly believes in the quality of local produce and home grown sustainable ingredients, which Taza's Chef Jayme Natividad utilizes to come up with a menu that can stand toe to toe with the finest restaurants in the country. Taza is located by the iconic view deck of Taal Vista Hotel, giving you a breathtaking view of the glorious Taal Volcano. 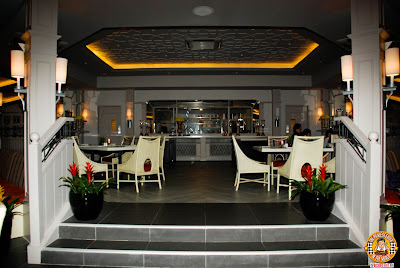 I believe it was a function room where Sunday Mass was usually held, that they now turned into an elegant dining experience. First up was the Goat Cheese Caesar Salad (P350). It was a salad so I wasn't really all that interested to try it, until of course I saw the home made pancetta, which looked eerily like a strip of bacon, perched on top of the leaves. 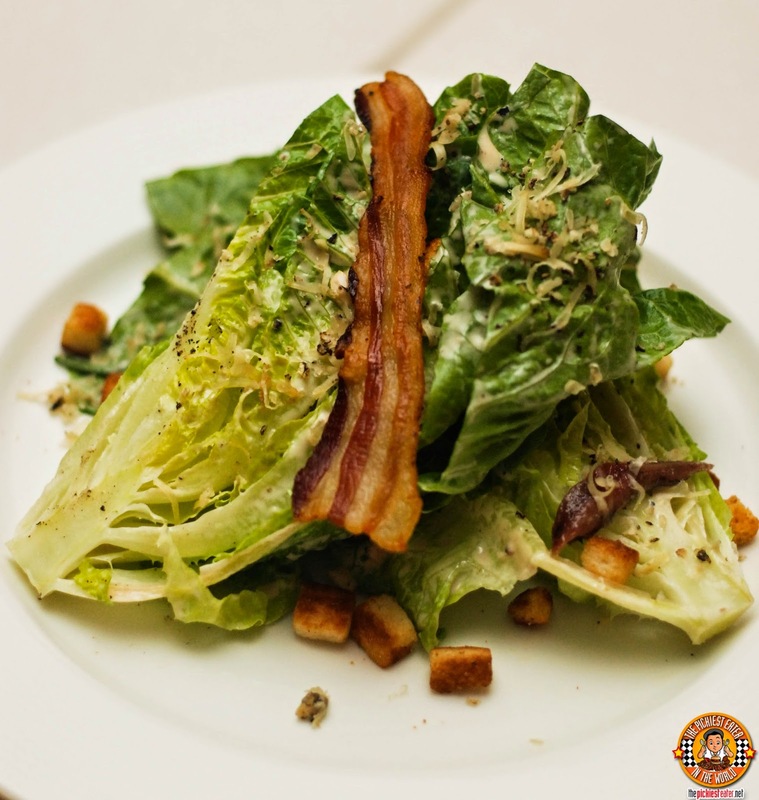 Rina swore to the freshness of the crisp Romaine leaves even when doused in the Caesar Salad dressing, and the delicate richness of the Malagos Farm Pepato Goat cheese. The saltiness on the Pancetta added a different dimension of flavor to the salad, although admittedly, I ate half of it hehe..
Rina really wanted to try the Mushroom Soup (P285) and what Rina wants, Rina gets. Chef Jayme is incredibly proud of this dish, that uses a trio of Tagaytay grown mushrooms, namely Oyster,Shiitake and Button. 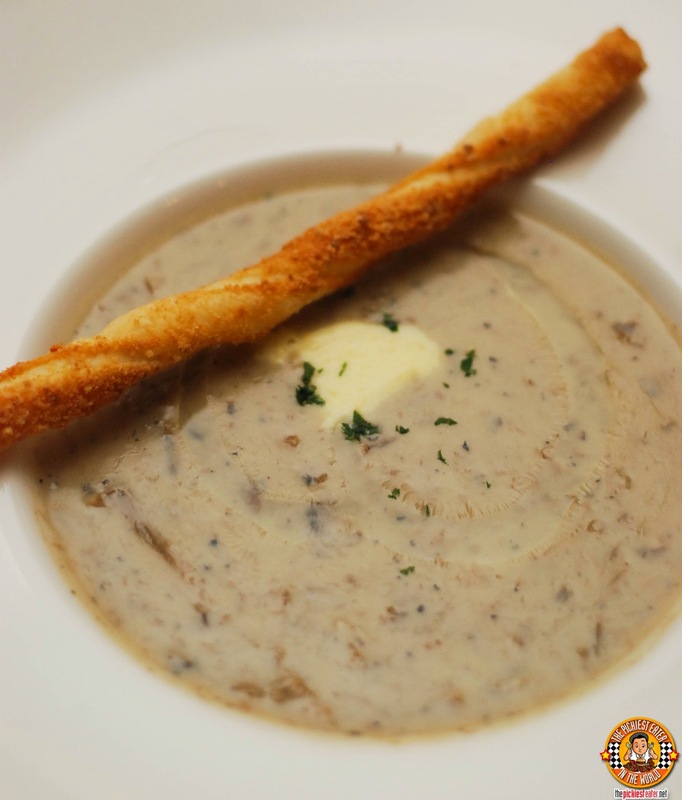 The medley of mushrooms work together well in a creamy soup, offering a luscious, yet delectable earthiness that is packed with flavor. I was eager to try Taza's Mezze Flatbreads. Chef Jayme was adamant we try the Boquerones (P200). And even though I'm not usually fond of anchovies, I decided to trust the chef.. And I'm glad I did, because it was really delicious. 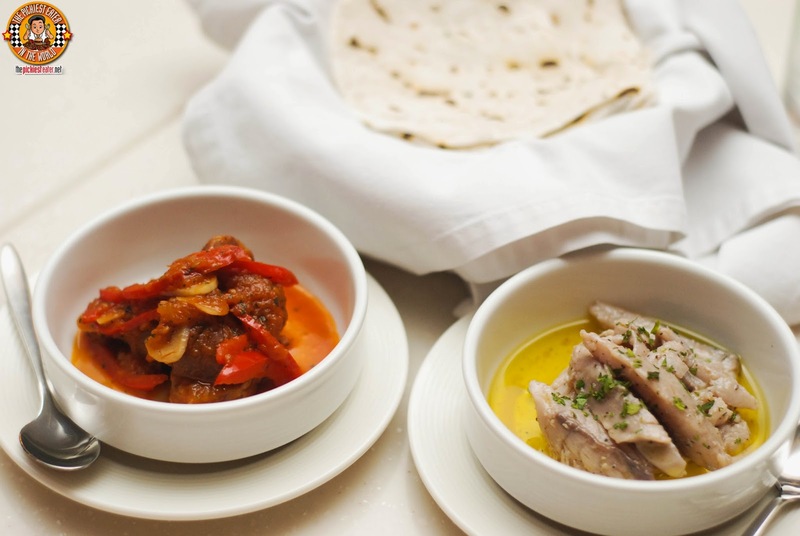 The pronounced saltiness of fish cutlets that melds well with infusion of herbs, swimming in a shallow pool of olive oil, serving as a wonderful topping to the toasted flatbread. I also felt the need to try the Chorizo with Garlic (P230), which was phenomenal as well. The gentle acidity that plays off the meatiness of the chorizo makes for a wonderful appetizer, especially when eaten with the flat bread. 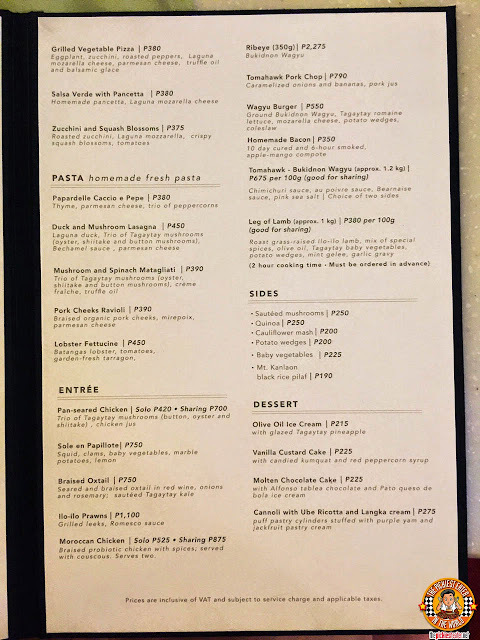 My wife is also a fan of all things cheese, so she threatened to leave me if we didn't order the Four Cheese Pizza (P395). Made with Laguna Kesong Puti, and Laguna Mozzarella, as well as Pato Quezo De Bola, and Homemade Ricotta, then drizzled in Olive Oil, before being baked to a beautiful crispiness. 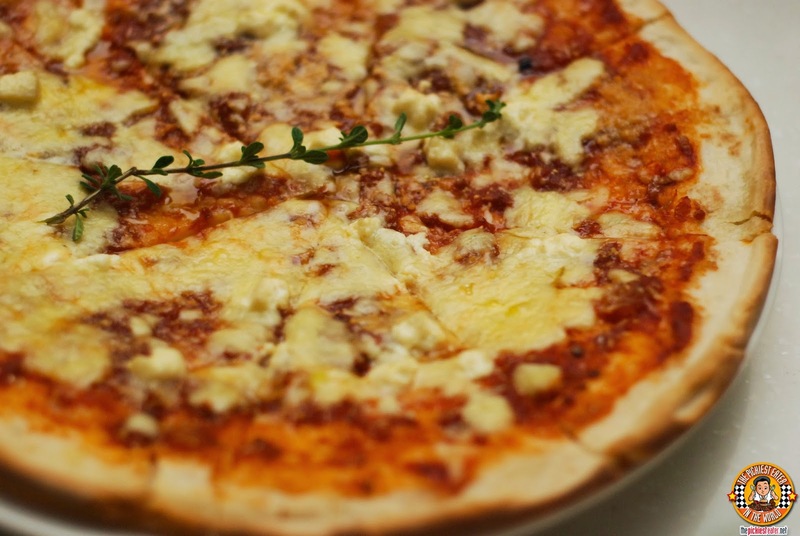 Taza's Four Cheese Pizza would give any Italian Chef a run for their money. As delicious as the Four Cheese Pizza was, it was the Salsa Verde with Pancetta (P380) that ran away with my heart, making the thought of Rina ever leaving me more bearable (I'm kidding hehe). 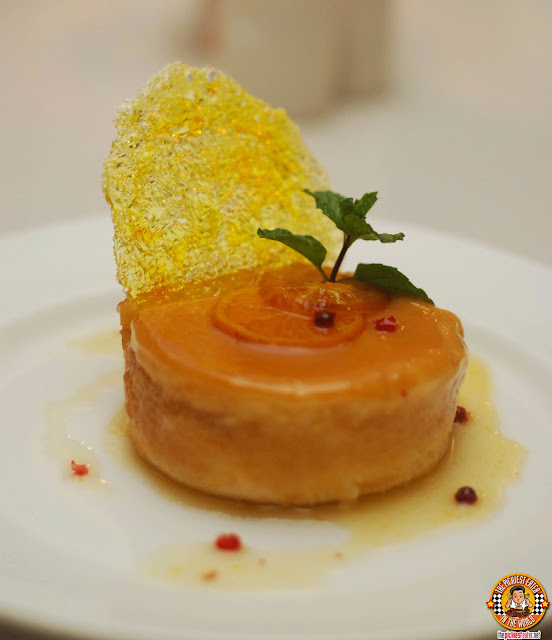 This was an incredible play of flavors, with each ingredient complimenting the other perfectly. The Salsa Verde offered a gentle kick of heat, which was tempered by the creamy goat cheese. 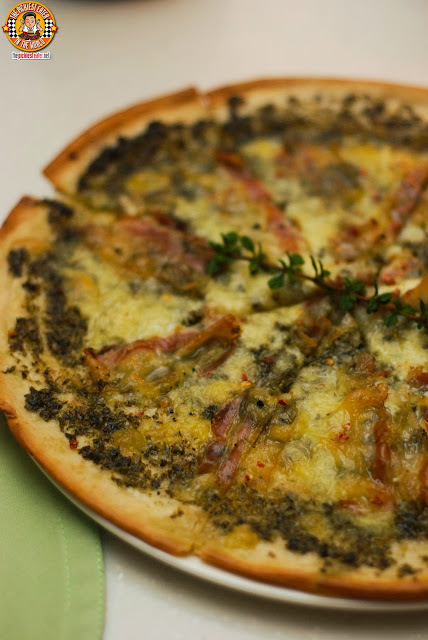 The Homemade Pancetta then gave a delicious meaty, salty punctuation to the mix, all on a perfectly toasted crisp crust. I would crawl to Tagaytay on my hands and knees if needs be for another slice of this bad boy. Is it weird she looks happier here than she did in our wedding? Chef Jayme's finishing move was one that would make all of Scorpion's fatalities feel like a gentle summer breeze. 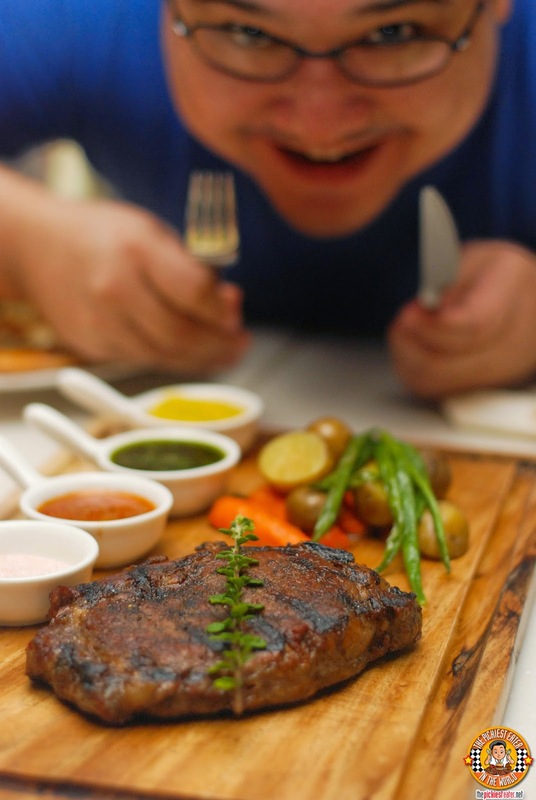 He had a stunning Ribeye Steak (350g P2,275) sent to our table, and we were immediately floored. The delicious Bukidon Wagyu was absolutely gorgeous, streaked with spectacular char marks running across the meat. 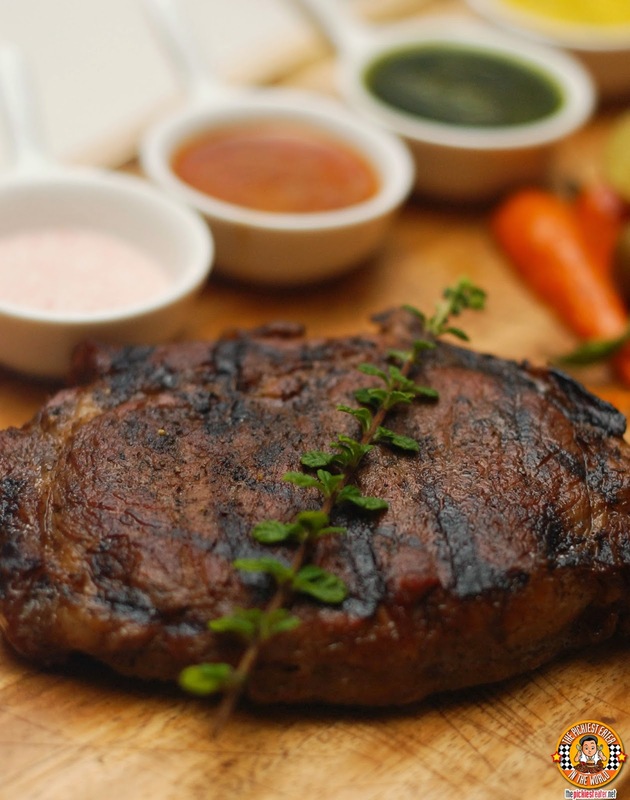 The steak is served with three sauces, Chimichurri, Bernaisse and Mushroom and pink salt, but truthfully, the natural flavors of the beef needs no sauce. The meat may not be as tender as the Saga Beef I had a few weeks earlier (which to me is the benchmark for steaks), but considering it is local beef, I couldn't help but be impressed. 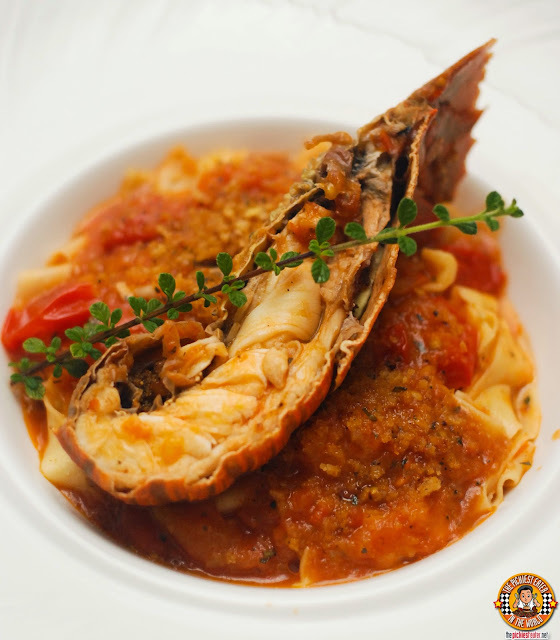 Definitely a dish that you must not miss when you go to Taza! 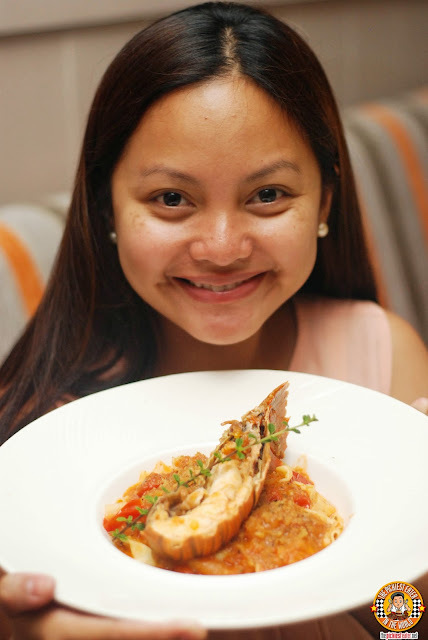 Amidst the flurry of delectable dishes arriving at our table at a rapid pace, Chef Jayme visited us and asked if there was anything else we would like to try. A lesser man would have conceded that he was full, and be over and done with. 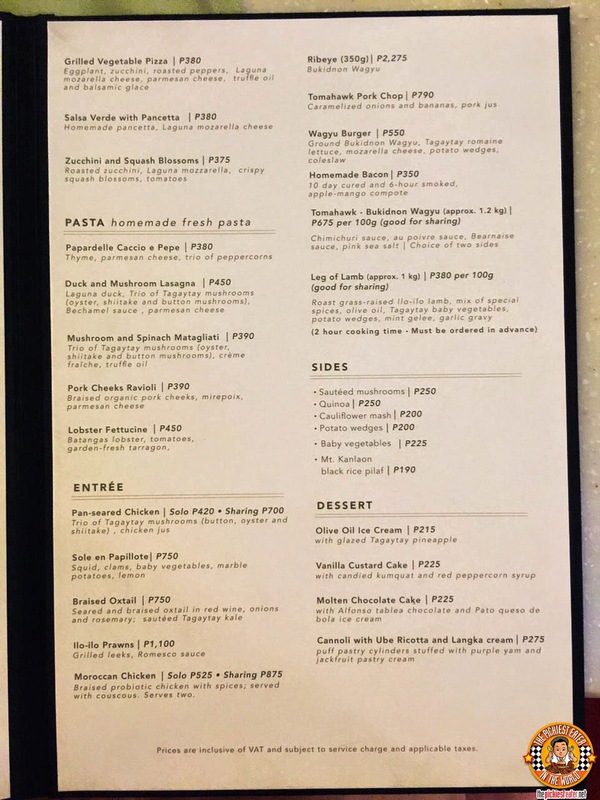 But The Pickiest Eater in The World cannot have a meal in a restaurant that has Homemade Bacon (P350) in its menu, and not order it. I have readers that depend on me. I do this all for you. The bacon is of the thick cut kind, and is cured for ten days, then smoked for another six hours. 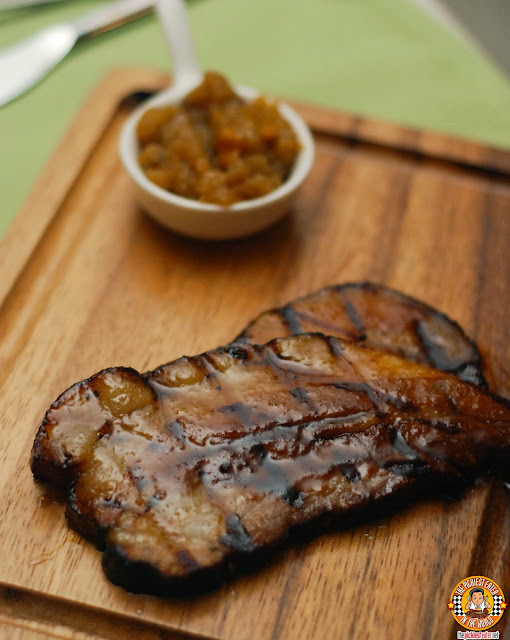 Like the steak, the bacon is streaked with gorgeous char marks, and coated in a lightly sweet glaze, that never overwhelms, even when paired with the side of Apple-Mango compote. 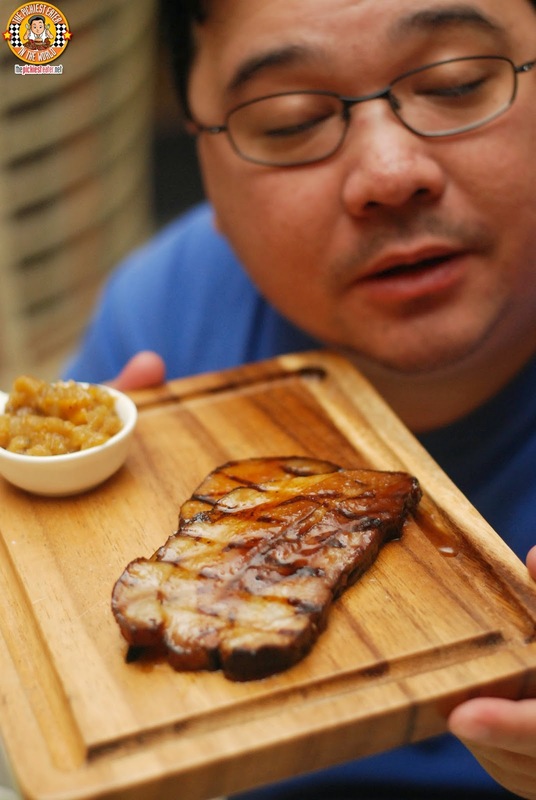 Among the best bacon dishes that I've tried.. It was absolutely delicious! For dessert, I had no doubted I wanted to try the Vanilla Custard Cake (P225), and it was amazing. The cake itself is light and moist, and perfectly paired with the creamy vanilla and the custard with just the right amount of sweetness. If there wa s a better way to finish an epic meal, I don't think it has been thought of yet. 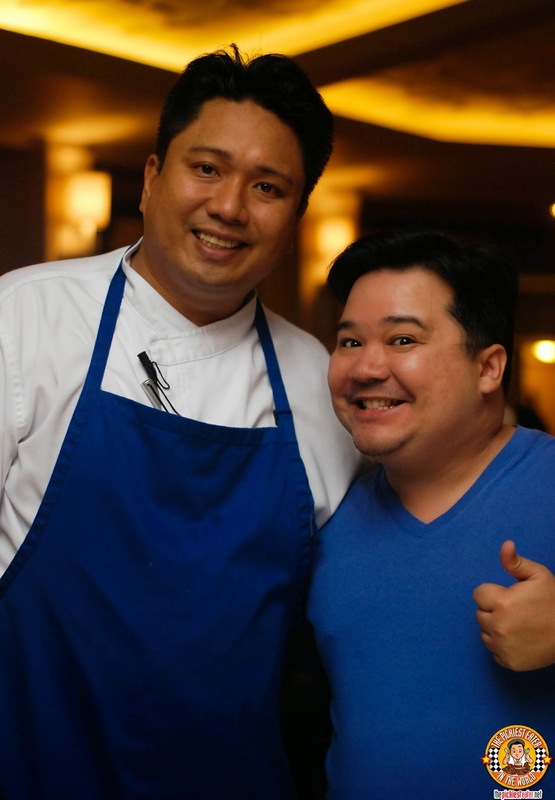 A special thank you to Chef Jayme for taking care of us with his phenomenal food and service. Thank you to Rosell as well for her gracious hospitality, efficient service and attentiveness to our needs. A special shout out to Celine and Mr. Wafik for always making us feel like Taal Vista is our second home! Everything we tried was simply amazing, and the mere fact that we know we're helping local farmers and suppliers in our own little way makes our meal at Taza even more meaningful. 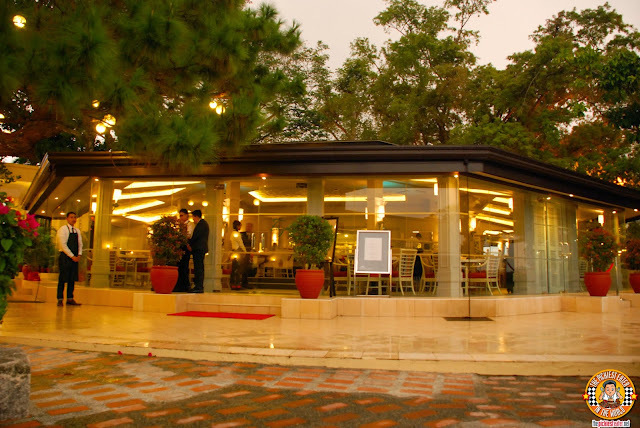 Definitely a place you should visit when you're at Tagaytay!